In the world of professional athletics, stats are everything. Not just the typical stats that fans might see like hits or points scored. But in-depth numbers about things like pitch counts and jump heights. Traditionally, this kind of information was difficult to obtain. But technology company Vert is working to change that. Nick met with Martin Matak, the founder and president of Vert. 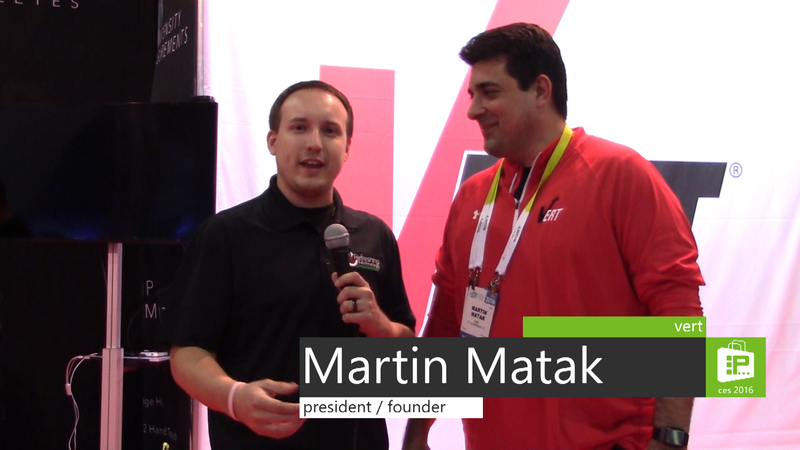 Martin’s company has designed a small, wearable chip that tracks all kind of athletic data. The Vert platform can record pitch counts, play intensity, and more. Vert also tracks “effort,” taking into account how much a player has done in a specific amount of time. The Vert clip can be worn with an integrated belt designed specifically for Vert or the clip can be incorporated into a player’s existing uniform/clothing. Vert clips are currently on the market for $125 and they work with a mobile app that can be downloaded for free. The recent boom in smart, connected technology has given consumers more opportunities than ever before to command and control different devices. But if you want to bring the so-called “Internet of Things” into your home, you’re faced with potentially having to buy a small army’s worth of new devices to replace your old ones. What if there was a platform that allowed you to create your own IoT system using modules that could be configured to do almost anything? That’s what NexPaq is doing with its modular products. 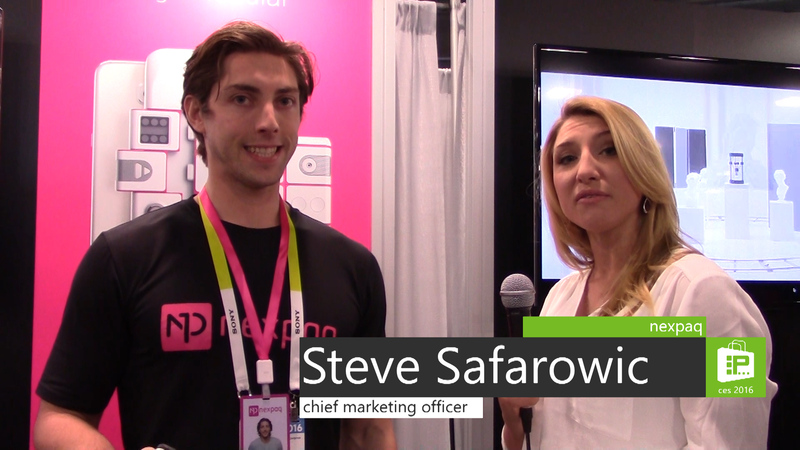 Aylee met with Steve Safarowic, Chief Marking Officer of NexPaq. Steve showed off his company’s innovative system that uses modules to do specific things. First, he demonstrated a special smartphone case that interacts with the phone. Users can add modules to extend battery life or create programmable hotkeys to do certain tasks like turning on lights or making a phone call. NexPaq also has a standalone device that uses its modular system without a smartphone. NexPaq also has a developer kit that can be used to create new modules. Developers can even submit their modules to the NexPaq store where they could become available to sell to other NexPaq users. 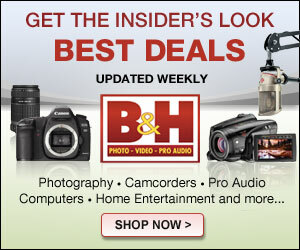 NexPaq smartphone cases and modules are available for purchase thru the NexPaq shop. Those of us who have dreamed about having our very own robot probably didn’t imagine that it would roll along like a Segway. Intel has teamed up with Segway to reimagine the Segway in the robotic world. 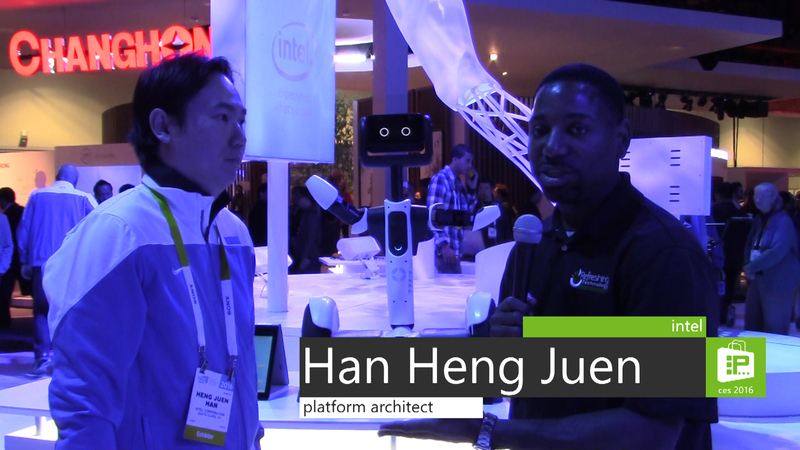 Nakia spoke with Platform Architect for Intel, Han Heng Jeun, at the Intel Real Sense Technology Section at CES 2016. They talked about the unique personal robot assistant that was on display. The robot has two main functions. One is that it can transform into an SPV (Special Purpose Vehicle) that you can ride. The robot has a Segway as its base. People can step onto it and ride around. When a person no longer needs the robot to be an SPV, it can be transformed back into robot mode. The robot uses the Intel RealSense RGB-D camera to enable depth sensing. This helps it to do real time 3D mapping that it will use to navigate a room. It also has a microphone array that allows you to send voice command to the Segway robot from anywhere in the room. It can be programed to understand a command like “follow me”. The robot has an open SDK on Android platform that developers can use create cool new things that the personal assistant Segway robot can do. They will launch the platform and SDK to makers and developers in the second quarter of 2016. For more than two decades, NVIDIA has pioneered visual computing, the art and science of computer graphics. Their work is at the center of the most consequential mega-trends in technology – virtual reality, artificial intelligence, and self-driving cars. 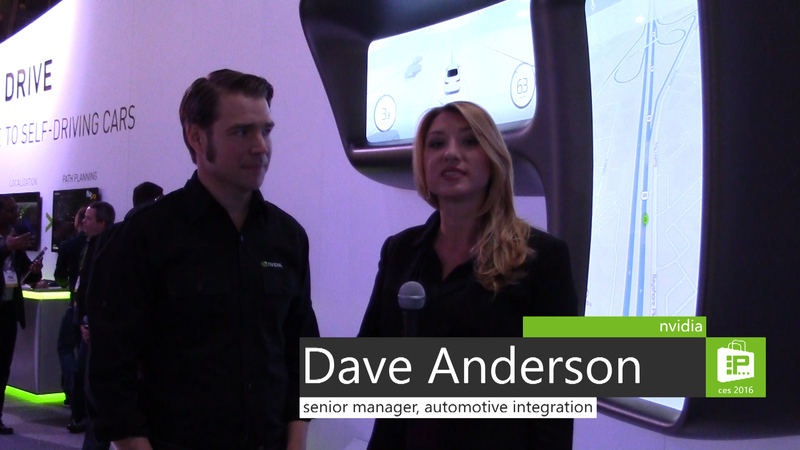 Aylee spoke with Senior Manager of Automotive Integration at NVIDIA, Dave Anderson, at CES 2016. 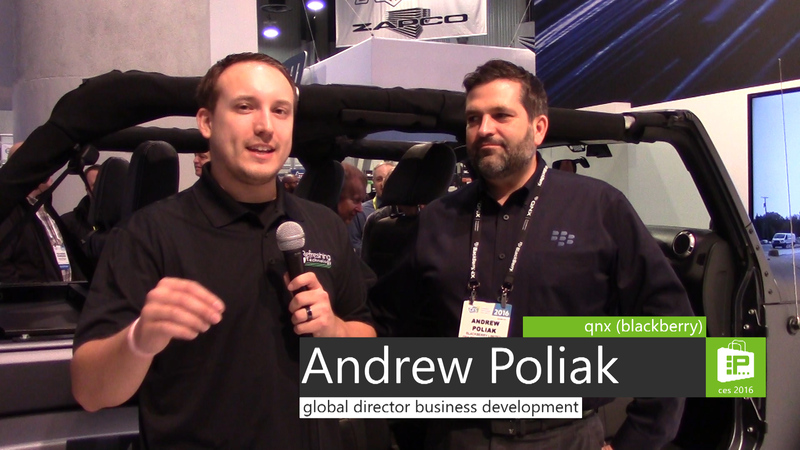 They talked about the brand new NVIDIA DRIVE PX 2 platform. It is essentially a supercomputer for your car. DRIVE PX2 becomes the brain that will effectively allow our cars to become self driving. The platform has the power of 150 MacBook Pros onboard in a single computing platform. NVIDIA has partnered with Volvo who will be doing an autonomous vehicle trial in 2017. Toyota believes that hydrogen is the future of the automotive industry. They have created a concept vehicle called the FCV Plus, which demonstrates Toyota’s vision of a connected, sustainable hydrogen society. 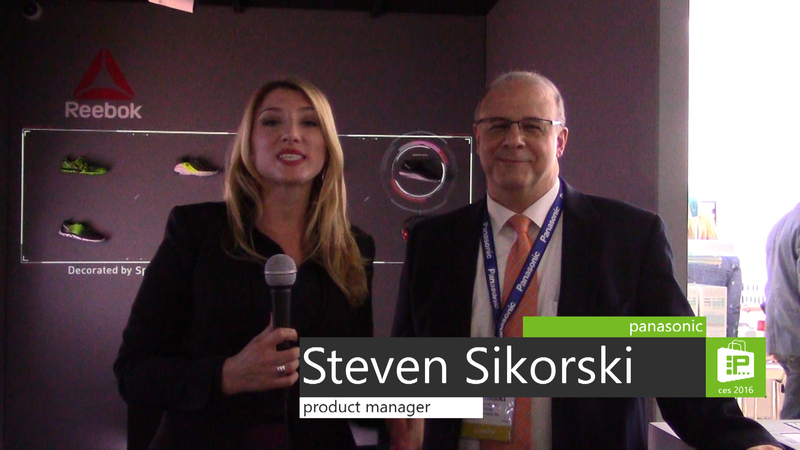 Nakia spoke with Product Specialist for Toyota, Maggie Clark, at CES 2016. They talked about Toyota’s FCV Plus. It is a concept vehicle that uses hydrogen fuel cell technology that Toyota has been working on since 1992. The FCV Plus is capable of generating electricity directly from hydrogen stored outside the vehicle and thus operating as a stable source of electric power for use at home or on the go. The FCV Plus will be able to generate so much electricity that it will be able to wirelessly charge an electric vehicle that is pulled up next to it. The FCV Plus could also be plugged into the grid and be able to charge up to ten homes on a block. The fuel cells themselves are very advanced. When it is time to replace your vehicle with a new one, you could remove the fuel cell stack and continue using it as a stationary fuel cell stack that can provide electricity to your home or business. Toyota is expecting that their FCV Plus concept vehicle will be on the market around 2030.